The death of a family member, friend, or coworker is a truly devastating and emotional event. These emotions are infinitely compounded when that individual has been the victim of a homicide or has committed suicide. Most people do not know that after the police officers, firefighters and paramedics leave, Phoenix families, landlords, business owners, and property managers are left with the daunting task of homicide and suicide clean-up. The last thing you should be worrying about during this incredibly difficult time is the cleanup of blood, bodily fluids, decomposing bodies, feces, and other hazardous materials. The death scene clean-up process can be extremely stressful, both physically and emotionally, especially if the individuals decide to clean the scene themselves or if they hire an unqualified company that does not complete this delicate work correctly the first time. BIOPRO, LLC is different. Our Phoenix crime-scene cleanup teams have completed more than 200 hours of training in both our state-of-the-art suicide cleaning methods and in client mediation. We will take as much time as necessary to assist you in understanding our methods for after death cleaning services. Our team is professional, compassionate and supportive during the painful experience of cleaning up a loved one’s remains from a suicide or homicide. It is our dedication to exceptional customer service that earned us the Better Business Bureau’s Ethics Award in 2009. Our Phoenix team takes care of the entire biohazard cleaning process for you from start to finish. We have more than 30 years of experience in restoring homes, businesses, office buildings, etc., back to the way they looked before tragedy struck. BIOPRO, LLC is licensed, bonded and insured for your protection. We offer services for odor removal, blood removal, sanitation, disinfection, and decontamination. Our staff is committed to providing you with the most efficient, professional, comprehensive, and compassionate homicide and suicide biohazard clean-up services in Phoenix and other Arizona cities. BIOPRO, LLC is OHSA-compliant and has received multiple awards for professionalism and excellence in the biohazard industry. We are available 24 hours a day, seven days a week, 365 days a year. Our after death cleaning and restoration services are second to none including, but not limited to, floor replacement, drywall repair, painting, carpet cleaning, light, ceiling fan cleaning and replacement, and wallpaper restoration. 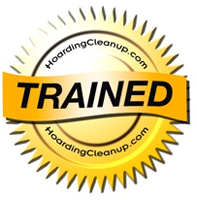 BIOPRO, LLC is the first name in biohazard cleanup throughout Phoenix, Arizona. We have responded to more than 25,000 calls throughout the metro Phoenix area since 1985. In fact, BIOPRO, LLC is the oldest biohazard cleanup company in the world. Trust us in your time of need to handle the delicate matters of a suicide death clean-up while you start the healing process. 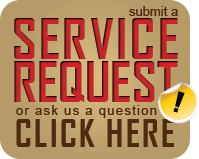 Call toll free at 877-492-7549 or our local number at 602-234-6856.